Surgery of the upper and lower eyelids can result in a rejuvenated appearance. 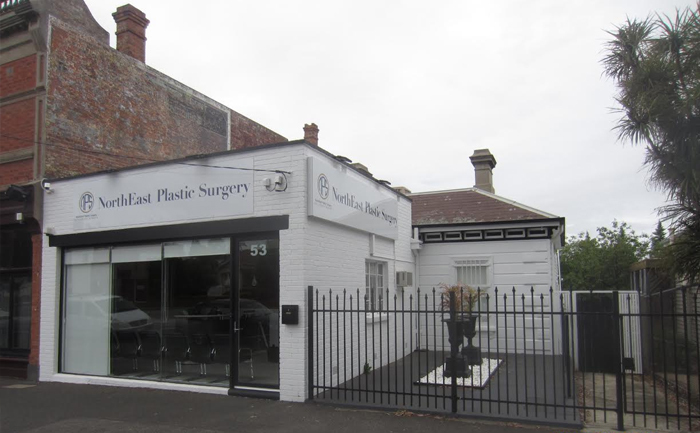 NorthEast Plastic Surgery Melbourne are experts in blepharoplasty. We can correct visual obstruction from an excess of upper eyelid skin, laxity of the lower eyelid and bulging of fat under the eyelid skin. Typically, patients seek upper blepharoplasty surgery to reduce excess upper eyelid skin that can lead to droopy or puffy eyelids, causing a ‘tired’ or ‘sad’ appearance. Fatty tissue can also contribute to the appearance of ‘puffiness’ and loss of definition of the upper eyelid crease. Blepharoplasty can also lead to significant relief for patients whose vision is impaired due to a ‘curtain’ of excess upper eyelid skin. Blepharoplasty increases the definition of the upper eyelid crease and visibility of the upper eyelid skin below the crease. This not only optimises the appearance of eye makeup, but may make the eyes appear deeper set, contributing to a rejuvenated appearance. In circumstances where the eyebrow complex has descended, elevation of the eyebrow with a forehead or brow lift operation may be required to reposition the eyebrow and optimise the results of blepharoplasty. This can be performed in conjunction with blepharoplasty or as a separate procedure. Patients typically request lower blepharoplasty surgery to address laxity of the lower eyelid and fatty tissue herniation that results in the appearance of ‘eye bags’ and hollow or tear trough deformities. Rejuvenation of the lower eyelid is achieved by minimal removal of excess skin, management of any herniated fatty tissue and optimisation of the lower eyelid complex structural tone. The decision to undergo upper or lower blepharoplasty surgery is significant and adjustment to change in appearance must be considered in addition to the process of post-operative recovery. Before consenting to surgery, you will undertake a one-hour consultation with your surgeon. The aim of the consultation is to assess your expectations and identify potential limitations to achieving those expectations. The latter may include skin quality and degree of excess, structural integrity of the lower eyelid, degree of fatty tissue herniation and eyebrow position. Your surgeon will discuss surgical management options of the eyebrow complex and upper and lower eyelids during the consultation. Management of eyebrow ptosis (descent). Upper blepharoplasty procedures produce optimal aesthetic outcomes when eyebrow position is ideal. This will be discussed with your surgeon as it will impact the potential to achieve your desired aesthetic outcome. Management of the upper eyelid. The degree of surgery required to achieve the ‘look’ you seek will be discussed with your surgeon in addition to the extent of surgery which can be performed safely. Your surgeon will discuss the relative merits and surgical techniques involved in removal of excess skin, fatty tissue herniation and reconstruction of the supra tarsal crease (upper eyelid crease), which will be necessary to achieve the desired aesthetic result. You will have access to pre- and post-operative images to illustrate the potential cosmetic outcomes achievable. Management of the lower eyelid. During your consultation, your surgeon will assess the quantity and quality of your lower eyelid skin, the degree of fatty tissue herniation, the presence of a tear trough deformity and the structural integrity of your lower eyelid. You will be advised on the impact each of the elements will have on your ultimate aesthetic outcome. Your surgeon will also assess your potential risk of ectropion (lower eyelid droop) and may recommend corrective surgery to address loss of lower eyelid tone. Discussion will also take place regarding placement of scars which are typically under the lower eyelashes where eye liner is applied or internally within the lower eyelid. Patients who have a tendency towards dry eyes or tearing may experience temporary exacerbation of these conditions after surgery and it is advisable to avoid contact lenses for two weeks after surgery. It is important your surgeon is made aware of any previous surgery and history of scarring, along with significant medical history including visual problems, as well as a tendency for easy bruising and excessive bleeding, and deep venous clots involving the legs. Your surgeon should also be made aware of all prescription and non-prescription medication you may be currently taking, as well as any allergies to anaesthetic agents, antibiotics and dressings, history of smoking and psychological or psychiatric issues. Such issues are important as they have the potential to affect your surgery, anaesthesia, and recovery. Further medical consultation may be necessary to minimise complications including consultation regarding blood thinning agents, which may need to be either ceased or modified in preparation for surgery. You may also be required to undergo a series of diagnostic tests, including blood tests, to assist your surgeon in gaining a complete assessment of your bleeding tendencies and to optimise your fitness for general anaesthesia. If advised by your surgeon, it may also be necessary to cease medication such as the oral contraceptive pill. It is important to avoid aspirin, Disprin and non-steroidal anti-inflammatory medication such as Nurofen, as well as some herbal medications two weeks prior to and after surgery. It is essential that smoking ceases six weeks prior to and after surgery to minimise the risk of surgical wound complications and potential complications from anaesthesia. Products containing Nicotine can also affect wound healing and should be ceased two weeks prior to and after surgery. Though unlikely, there are risks associated with every surgical procedure. Risks most commonly associated with blepharoplasty include wound complications such as infection, haematoma formation including visual impairment due to retrobulbar haematoma which is rare, scarring and wound breakdown. Further surgery to address any complications will incur its own risks. Most patients experience seven to 10 days of bruising and swelling and your surgeon will advise you on the likely post-operative recovery time based on the extent of your surgery. Patients are able to drive once their vision is normal and unobstructed, which is typically about five days post-surgery. You may also experience asymmetry, drop in the eyebrow complex resulting in the appearance of excessive upper eyelid skin and lower eyelid droop, which may require revisional surgery. The eyelids and in particular, lower eyelids, can sometimes be subject to swelling, which is addressed with massage and taping. You will be advised of such treatments during your post-operative visits. Only after your surgeon has thoroughly assessed your situation and informed you of the surgery process and all associated risks should consent to surgery be given. Ensure you have asked your surgeon any necessary questions, including questions related to cost and the potential for corrective surgery after your initial operation. At NorthEast Plastic Surgery, we want to make sure you have the most accurate information before moving ahead with surgery. As such, we do not advertise set prices for any of our procedures on our website. This philosophy adheres to the guidelines for advertising of regulated health services, provided by the Australian Medical Board. Once you have undertaken an extensive consultation at our clinic, your surgeon will be able to discuss the cost of your procedure with you. We can also provide approximate out-of-pocket costs before your initial consultation, including any applicable Medicare rebate, over the phone via 03 9088 5000 or via our website. The cost of your initial consultation with one of our experienced surgeons is $175 ($225 for weekend consultations), , though a portion of this cost may be claimed from Medicare provided you have a referral from your GP. All consultations are made by appointment and you should allow one hour for your consultation to ensure adequate time for examination and any necessary questions. Whilst the procedure is occasionally performed under local anaesthetic with sedation, it is most commonly performed under general anaesthetic administered by specialist anaesthetists in an accredited hospital. Your surgeon will discuss your requirements in this context along with the nature and placement of the incisions required prior to undertaking the surgery which will determine where scarring occurs. Your surgical wounds will be repaired with internal stitches which are removed one week after surgery. At the completion of surgery, tapes and dressing are applied which can be worn whilst showering. After a period of visual acuity observation, patients are typically discharged on the same day into the care of a responsible adult. At the time of discharge, appropriate pain medication and antibiotics will be dispensed. It is important these be taken to minimise discomfort and potential wound complications. Ice packs are used for 48 to 72 hours post-operatively and patients are encouraged to maintain their head in an elevated position with pillows at night to minimise bruising and swelling. It is important that access to medical attention is available by telephone once you’ve been discharged. Issues which your surgeon needs to be made aware of urgently include visual changes, pain uncontrolled by medication, bleeding to the extent that the dressings soak through with blood, temperatures exceeding 38 degrees Celsius, redness of the skin or any concerns related to the surgery. In general, soft tissue swelling and bruising improves over the first week to the extent that patients can return to work and resume normal activities. Whilst improvement in appearance can typically be appreciated within one to two weeks, the swelling continues to improve for six to eight weeks and may take several months to subside completely. During your post-operative visit one week after surgery, your dressings and sutures will be removed as appropriate. Wound healing will generally take a week and during this period movement should be undertaken with care. Driving a motor vehicle can typically commence once patients have ceased pain medication and when vision is unimpeded, which is usually five days after surgery. Strenuous exercise can be resumed at around four to six weeks. It is important to avoid trauma from being knocked or accidentally hit for six weeks after surgery. While your surgeon will strive to achieve an optimum result with minimal scarring, the degree of scar formation varies from patient to patient. The aim of swelling management and scar maturation strategies is to achieve the best possible result as safely as possible. As the privacy of our patients is of the utmost importance to us, we do not provide before and after photos on our website. You will be shown a number of before and after images during your private consultation to illustrate the potential outcomes of surgery. These images have been provided by previous clients who have consented to their private use.